You can depend on 31-W Insulation for all your home insulation needs. We serve homeowners and contractors throughout the Cincinnati area, providing them with exceptional insulation products and expert installations. 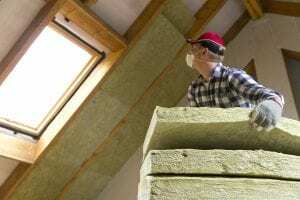 Our company offers and installs fiberglass and foam insulation, allowing us to insulate the entire structure from the roof all the way down to the attic. We can even take care of smaller spaces and provide insulation for behind baseboards and for inside crawl spaces. After we’ve finished your home insulation project, you’ll understand why we have an A+ rating with the Better Business Bureau. It doesn’t matter the type of project; 31-W Insulation can install home insulation for new homes, for home additions, and for existing homes. Since we offer top-of-the-line products from names such as CertainTeed, Owens Corning®, and Demilec, you can count on our insulation to stop heat from leaving your residence on chilly days and stop heating from coming in on warm days. In addition to improving the comfort of your home, our insulation provides incredible energy efficiency. With less temperature fluctuations occurring in your home, your HVAC system will have an easier time maintaining your desired temperature, which can help lower your monthly utility bills. What’s more, many of our home insulation options also help keep out moisture to help prevent mold and mildew in the insulated area. Contact 31-W Insulation today to schedule a consultation and learn more about the home insulation products and services that we have available for Cincinnati-area homeowners and contractors.